On the southeast of ‘mainland’ Bali, separated by the Badung Strait, are three little islands off of Bali that serve escapism in its purest form. These islands are unique spots, culturally authentic places away from the traveling masses and with beautiful beaches that deliver magical sunsets. The people just live a different pace of life here, and this is where many of us create our tropical escape. Swaying palm trees, crystal-clear water, the sun caressing your skin – what could possibly be more relaxing? A beach escape is perfect here, but there’s more to Nusa Lembongan, Nusa Ceningan, and Nusa Penida than the stretch of sand you’ll want to claim as your own. 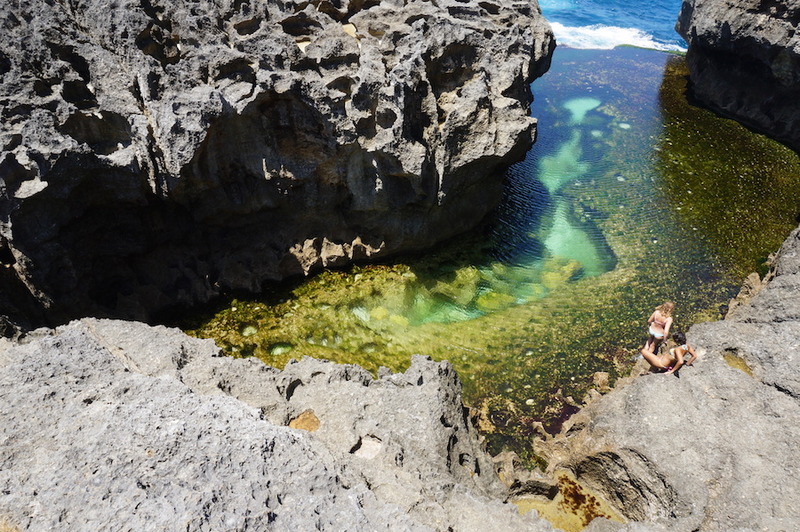 Nusa Lembongan is very popular among those seeking a quick getaway from the hectic pace of South Bali. Anyone entering Lembongan will instantly appreciate the island’s magnificent, tranquil atmosphere, for neither hawkers nor traffic mar the brilliant natural features there. 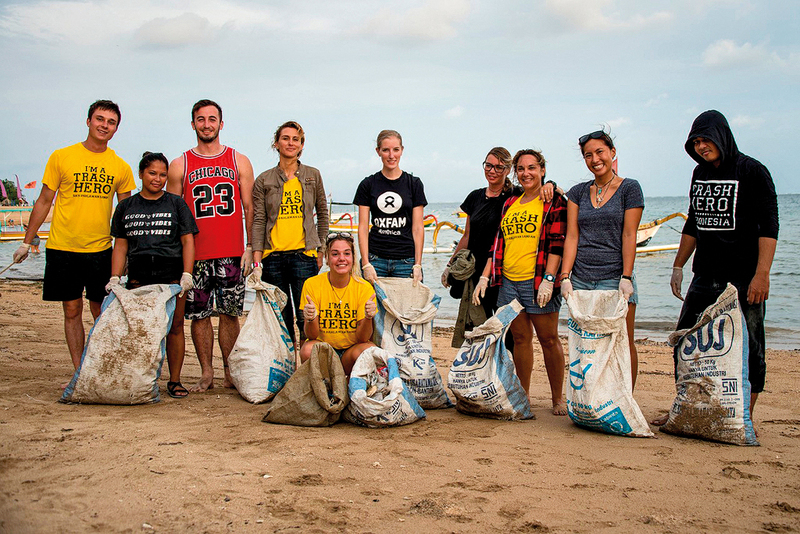 Residents of Bali, including ourselves here at NOW! Bali, often escape to Lembongan to just put our feet up and relax. There are myriad of things for visitors to do there, for Lembongan is a great place to splash through a holiday with fun water games and activities. The surrounding azure waters will invite you in to join the activities that will surely thrill and excite. 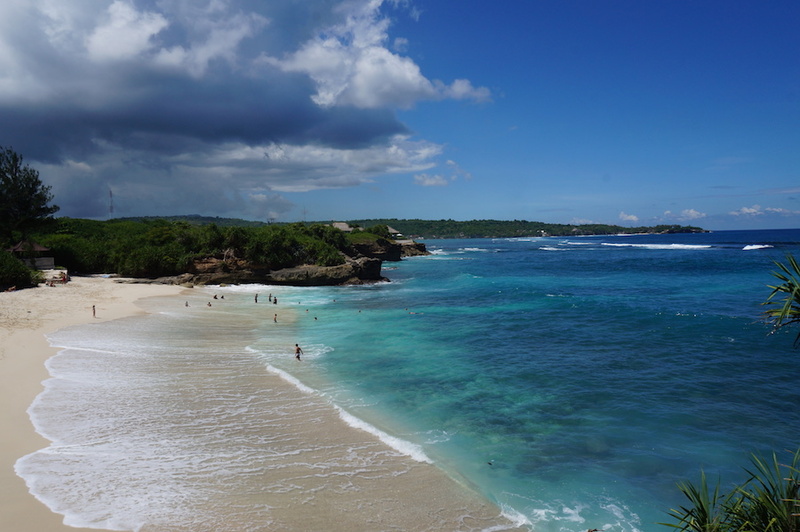 Lembongan’s pristine beaches lure quite a number of sun worshippers. 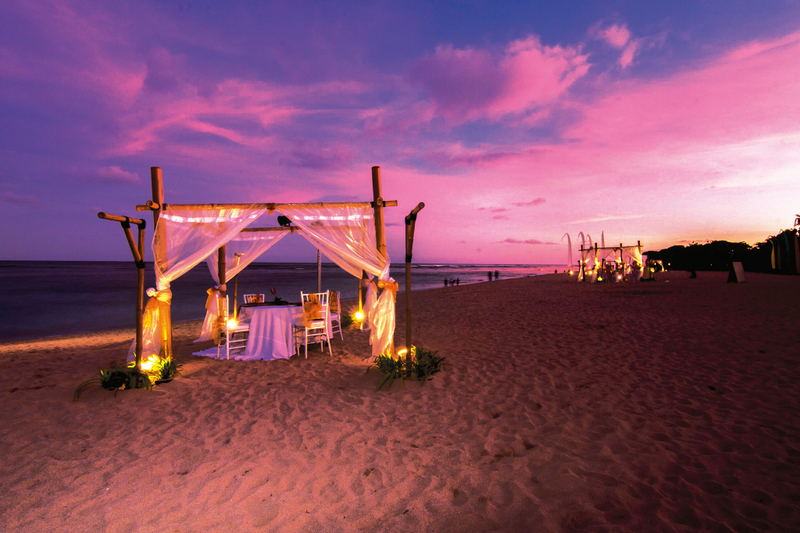 Dream Beach, no doubt one of the prettiest beaches in Bali, is increasingly drawing more visitors. The coastal landscape in this part of Lembongan is mostly low-lying limestone cliffs, and there are some dramatic cave formations. A beautiful view can be seen from the cliff at the right side of Dream Beach, especially during sunset. 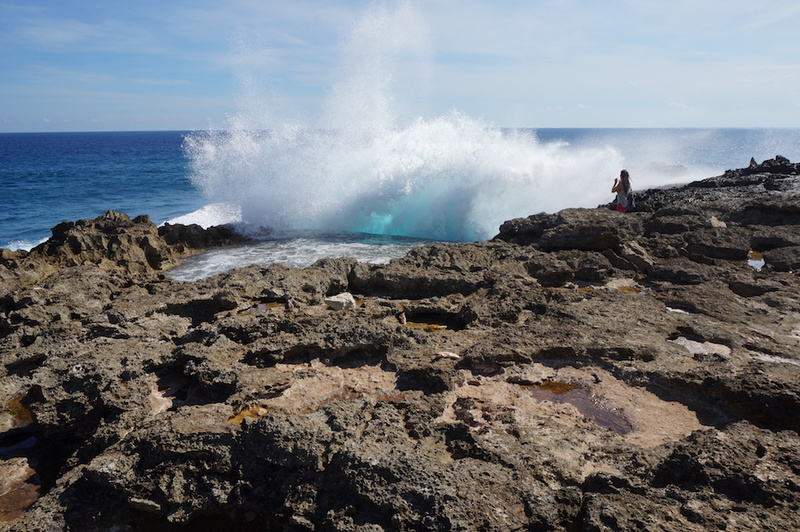 A five-minute walk from here is the Devil’s Tears, a rocky outcrop with dramatic crashing waves and water plumes. Other popular beaches are Mushroom Bay and Jungut Batu. An attraction unique to Nusa Lembongan is Gala Gala Underground House, built by an extraordinary Balinese man named Made Byasa. Byasa spent fifteen years digging in his own yard to make an ideal meditating place. In 1976, the 500 square meters of labyrinth was completed with a complex web of holes that consist of: a meditation room, bedroom, bathroom, dining room, living room and kitchen. Of course, don’t go expecting to sit comfortably on the living room’s cozy sofa or anything like that! It is for such spots you have to explore the islands off of Bali, to find these nooks and crannies that make for a memorable adventure. There are some parts of this house where you need to bow when exploring them, unless you feel like hitting your head on the rocky ceiling. Gala Gala’s seven entrance/exit doors are pretty steep and can be slippery at times. Gala Gala is located down a small lane off the main road after the Nusa Ceningan suspension bridge (on the left side if you come from Jungutbatu/Mushroom directions). The small lane (wide enough for motorbike access) is the one with a small wooden signboard saying “Gala Gala Underground House”. The next island, sandwiched between Nusa Lembongan and Nusa Penida, Nusa Ceningan is also famous for its crystal clear waters, making diving and snorkelling popular activities there. A suspension bridge on the Ceningan Strait makes a visit to this island from Nusa Lembongan easy. Initially frequented by surfers, Ceningan has now flown into the radar of honeymooners and those looking for a quiet, laid back atmosphere. The island has been established as part of the Bali Surf circuit for quite some time now, for it houses three main breaks that are located on the west coast of the island. These famous three, including others, are especially crowded during the dry season. Though the most popular mode of transportation in Ceningan is motorbike (just like in Lembongan), the island is excellent for walking; and keen visitors should not hesitate to just head off and explore the myriad tracks that criss-cross Ceningan. The landscape of Ceningan composes scenic paths and small roads, with the westward views back over Nusa Lembongan to the main island of Bali. Viewing the sunset over Bali from the central Ceningan ridge is very much worth the effort. The estuarine channel between Lembongan and Ceningan is home to many seaweed farms. In Ceningan you can find the bluest water you’ve ever seen at the aptly named Blue Lagoon. What makes this rugged coastline even more spectacular is that you can jump off a 43ft high cliff and live to tell the tale. Anyway, the biggest of the three islands, Nusa Penida is commonly branded as an ultimate beach getaway; the island’s bays are white sand and the perfect clear waters are perfect for snorkelling and diving. Some of the beaches are truly idyllic spots, and you’re likely to have it to yourself apart from the dive boats offshore. If you want to get off the beaten path and escape the hectic life, then Nusa Penida is sure to do the trick. For some, the draw is the turquoise waters; for others, the pure privacy is more than enough. The island’s interior is hilly and drier than the other parts of Bali. During the dry season, Nusa Penida looks deserted with arid lands and withered trees. Come the wet season, the island turns its makeup to lush green. 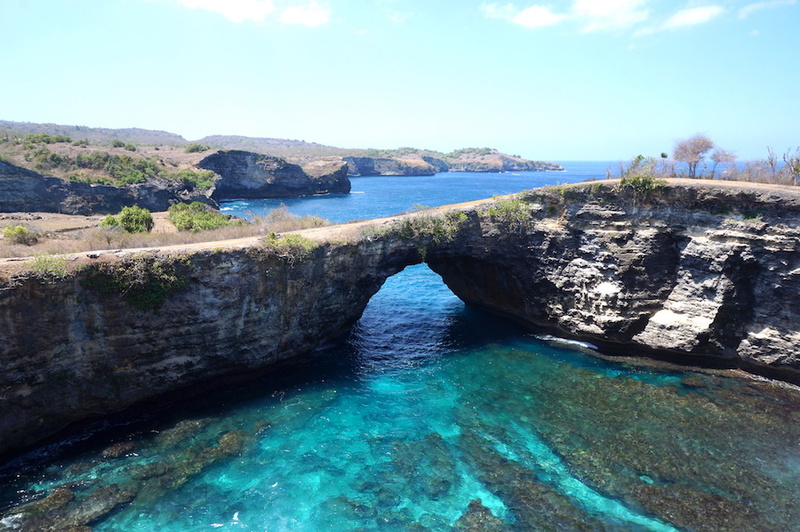 Definitely the gems of Nusa Penida are hidden away from the main road to the smaller, winding roads ascending deeper to this enchanting island. Located “beachfront”, approximately an hour drive from the boats arrival point, is a dazzling natural pool where you can soak away your troubles and forget time. Believed by the locals to be a site where angels and nymphs used to bathe, Angel’s Billabong is a nature-made infinity swimming pool overlooking the vast Indian Ocean. The road to reach this beautiful sanctuary is quite challenging; and it doesn’t get easier either once you’ve arrived on the spot, for you have to climb down the rugged, sharp coral reef after you’ve parked your vehicle. But once the crystal-clear water of the pool is within sight, you’ll feel like you’re in paradise and all those bumpy roads leading to this place feels worth it. Angel’s Billabong is located in an area called Pasih Uwug, meaning “broken beach”, and it is a brilliant geological phenomenon. Upon arriving in the area, you’ll be presented with the breathtaking view of Batu Bolong, a spectacular natural arch created by the rock cliffs that goes down into the sea. Now this is something broken we don’t want to get fixed! 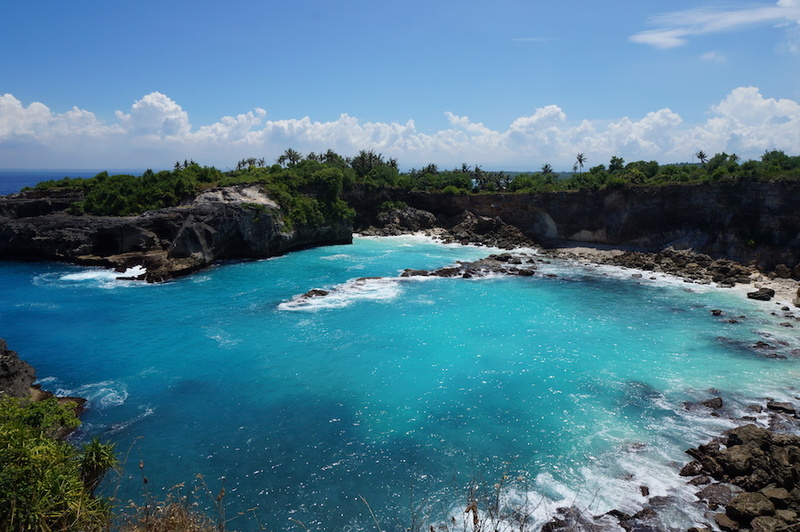 Away from Batu Bolong and into Nusa Penida’s hidden gem that has currently been brought to fame, Kelingking Beach on the island’s Bunga Mekar village offers breathtaking views over the hills and small strip of white sand from atop a hill of the same name. 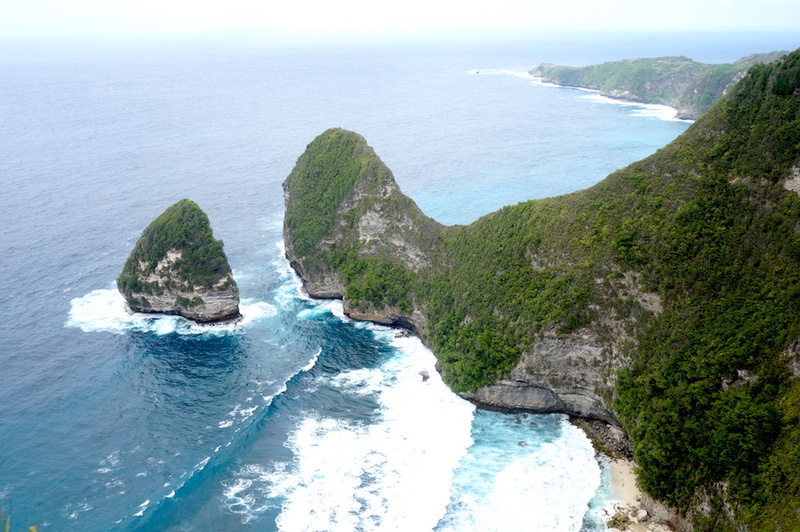 The unique natural makeup here features a limestone peninsula covered in green with blue water of the Indian Ocean in the background. Also known as the “T-Rex Bay”, Kelingking has a unique formation that resembles the head of a Tyrannosaurus Rex. Only those who are fit and adventurous descend to the small stretch of white sand beach below, for you have to go down approximately 400 metres of rugged cliffside. Alternatively, you can always rent a boat. To reach Kelingking you will travel through asphalted roads that have been eroded and turned to gravel. The roads may be bumpy, but the breathtaking natural views will make the journey a pleasant one. You should make a stop in one of the villages on your way to the area – here you can get a glimpse of real Balinese life. A short drive from Kelingking will take you to Pura Paluang. Known as the Car Temple, Paluang is unique with two shrines in the shape of a car. The two cars are believed to be vehicles of the spirit of Ratu Gede Sakti Hyang Mami along with her children and subjects. So, what are you waiting for, get on a boat and explore these 3 amazing islands off of Bali.